Before yesterday, players at the world’s largest fighting game tournament were unable to receive advice from their coach, if they had one, once they reached the semifinals. 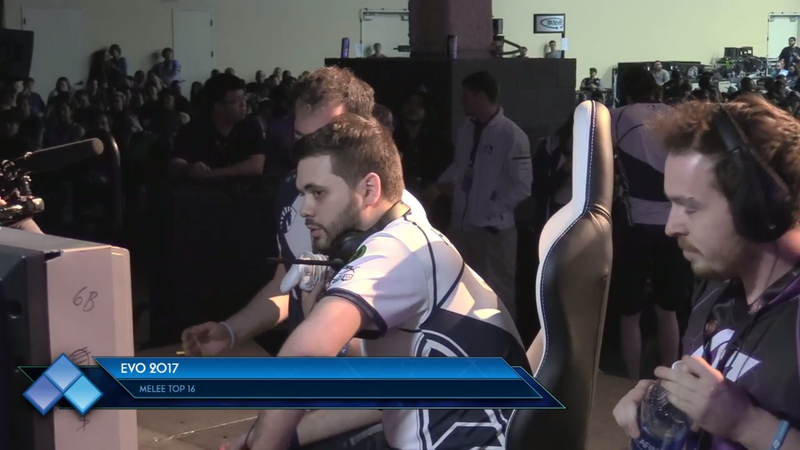 Now, thanks to a rule change, if they need help during a match of Street Fighter, Super Smash Bros., or any other game contested at the Evolution Championship Series, their coach can assist them—as long as they remain off the stage and take only 30 seconds. That change is one of several announced recently by Evo head Joey “Mr. Wizard” Cuellar. Relaying the news through a tweet, Cuellar said that the tournament will remove their previous ban on mid-set coaching for future events. However, coaches will not be allowed on stage to assist their player, and the previous one-minute time limit between games has been reduced to just 30 seconds. These adjustments were reflected immediately on the tournament’s official website. The “stage trespassing rule” mentioned above is an expansion of a long-held Evo policy, making it an official event rule that carries with it dire consequences if violated. The new regulation states that “any unauthorized player trespassing on any of the Evo stages including in the arena, will immediately be ejected and may be arrested at the tournament organizers discretion.” This obviously puts a severe restriction on how well a coach can communicate with their player. While the Evo staff has consistently made efforts to keep attendees from jumping onto the stage—especially when spectators were allowed to sit right up against it in a small area affectionately known as “the box” before the move to Mandalay Bay’s arena—this official rule is likely the product of high-profile interruptions over the last two years. Due to the variety of production people and gear on stage at any given time, intrusions carry the risk of being detrimental to the event, such as when a crowd of celebrating Ultimate Marvel vs. Capcom 3 players disconnected the on-stage setup at Evo 2017, resulting in significant downtime for the broadcast. Of course, this raises a crop of new questions. With such harsh restrictions, why allow coaches at all? And what is Evo to do if the few competitors who can afford a full-time coach refuse to play on stage so they can maintain a closer connection with them? At major competitions, the organizers and stream producers work together to find the most compelling matches and ensure the players involved are transferred to the main stage for broadcasting purposes. Competitors can’t demand to be put on stream, but they can decline, usually so they’re able to play their matches immediately instead of waiting in a queue. With these new guidelines in place, it wouldn’t be a stretch to imagine players backed by major organizations (and thus capable of paying a dedicated coach) avoiding playing on stage in order to keep that edge on their opponents. This also carries with it the risk of damaging the level of play on the Evo broadcast should several high-level competitors decline the opportunity, a possible outcome floated by Evo 2017 Super Smash Bros. Melee champion Adam “Armada” Lindgren during discussion yesterday. Cuellar did little to explain the rationale behind these changes or address the numerous concerns in public, and Compete has yet to hear back on our request for comment as well. In a scene that celebrates maintaining an even playing field as much as the fighting game community, the topic of coaching and where it’s allowed will likely remain a heated topic of debate for the foreseeable future. Evo is often looked at to steer the ship in terms of official rulesets, but it’s clear there’s still more work to be done hammering out these guidelines. With a little less than a year until Evo 2018, the organizers thankfully have quite a bit of time to do so.